The VNC SDK includes sample apps for all supported platforms, and it’s only a few minutes’ work to get them up and running and to start evaluating connectivity and control. You can connect to a Windows, Mac, Linux or Raspberry Pi computer from any combination of these platforms, and from an iOS or Android device or a modern web browser on any desktop platform. 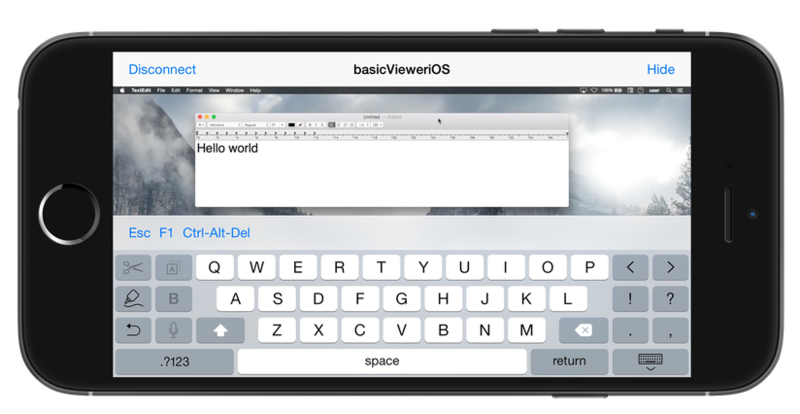 In this post, we’ll demonstrate an iPhone connecting to and controlling a Mac, but just check out the READMEs in the SDK samples folder to try out any other combination. The VNC SDK, available here. A Mac running Mavericks or later. Xcode 6.2+ with Developer Tools (xcode-select --install). The OS X 10.10+ SDK and iOS 8+ SDK. CMake for OS X, available here. An iOS device running iOS 8+ (or a simulator). Your API key and secret. Sign in to retrieve these (top right) if you don’t have them to hand. 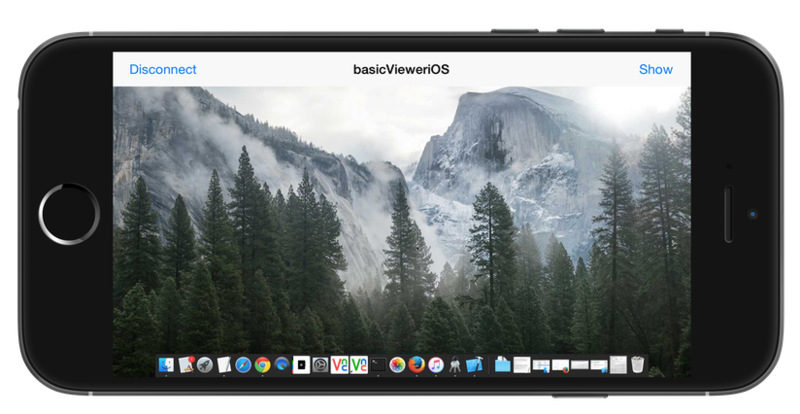 On your Mac, open vnc-sdk/samples/basicVieweriOS/BasicVieweriOS.xcodeproj in Xcode. Connect your iPhone to your Mac and build and run the app in Xcode. Note if you get an error, set Build Settings > All > Enable Bitcode to No.